In this example, we will have one input stream and two output : one in FLV and one WebM. We define a status page. Now we set up the feed : storage area, max size and allowed referrers. Remember, feeds are the input of the ffserver. Wed Jul 3 14:02:01 2013 FFserver started. Your server is now up and running. We can push our first movie, in my case, I use the Sintel Movie trailer. The ffmpeg command line read the video and push it to the feed we configured above. Note: with WebM, you can create a kind of live stream if you loop on different ffmpeg command line. 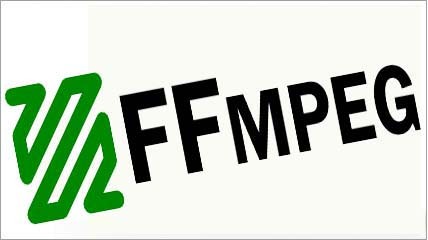 To conclude, we know ffmpeg as one of the most useful free encoder. 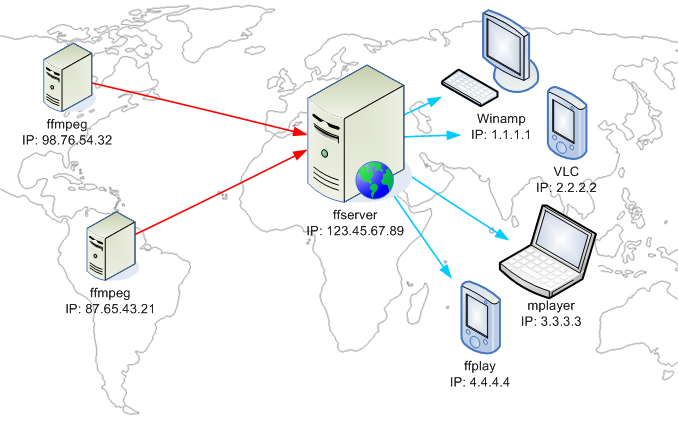 Now, ffserver is a very interesting tool and deserve more time to test the different possibility of it. How to organize live streaming thru HLS? I didn’t test for the moment the possibility to provide HLS. But I found a thread on StackOverflow : HTTP Live Streaming, FFMPEG & FFSERVER, and iPhone OS 3. I think you can have a look on it. The link you gave is not related to ffserver ! I still was wondering if ffserver can archieve HLS. Did you experiment it deeper ? Can this take a live stream? /etc/ffserver.conf:2: BindAddress option is deprecated. Use HTTPBindAddress instead. /etc/ffserver.conf:7: NoDaemon option has no effect. You should remove it. /etc/ffserver.conf:25: Setting default value for video bit rate tolerance = 500000. Use NoDefaults to disable it. /etc/ffserver.conf:25: Setting default value for video rate control equation = tex^qComp. Use NoDefaults to disable it. /etc/ffserver.conf:25: Setting default value for video max rate = 4000000. Use NoDefaults to disable it. /etc/ffserver.conf:25: Setting default value for video buffer size = 4000000. Use NoDefaults to disable it. Thu Feb 12 09:54:58 2015 FFserver started. Can you help we with this error?